Ninad has over 20 years of Telecom IT experience involving analysis, design, development, implementation, maintenance, support and management of full life cycle commercial applications. 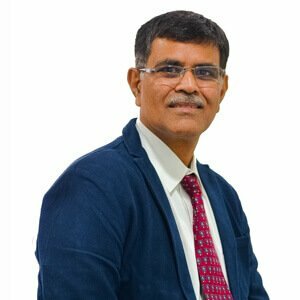 He has extensive Project and Programme Management experience of over 15+ years managing multiple teams from suppliers, clients etc. across Europe and Asia delivering high value programmes in both Offshore Delivery and onsite customer facing environment. Ninad regularly conducts training workshops in the areas of Project/Program Management. Delivered over 500hours of training to more than 250 students and professionals in Project management, Function Point Analysis and software Engineering. Prepared Courseware for Project Management, Function Point Analysis and reviewed courseware for leading training providers. Colocation Centre Management- Various suppliers are collocated to deliver the programme. Managing rebadged resources in Italy in light of strict labour laws and strong labour unions. Recipent of an award for presenting Test Automation and Cost Reduction white paper in STC-2009 organised by QAI. Appreciation for devising Test Points as a sizing mechanism for VV&T projects. Certified PMP (Project Management Professional) from PMI (Project Management Institute), USA, 2003. PMP in good standing for the last 16 years.